This sounds great. 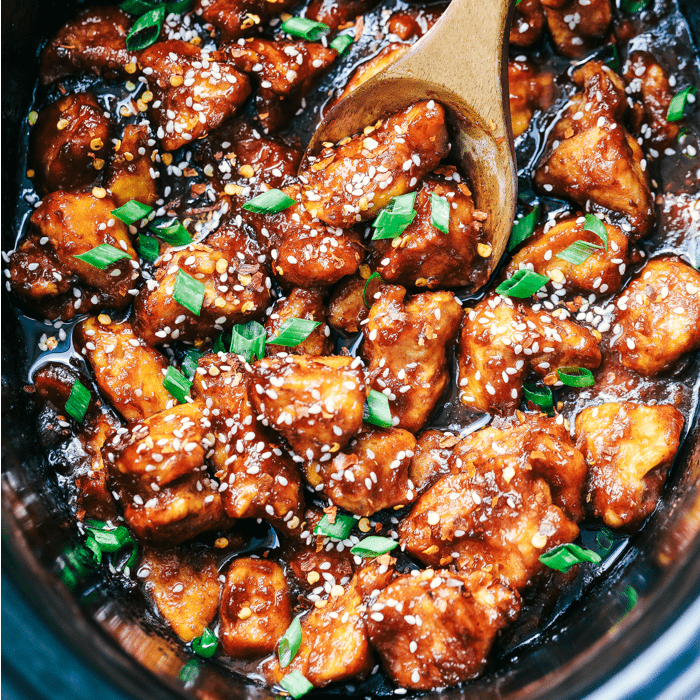 I have made sesame chicken in a slow cooker before and it also turned out very well. I’ll have to try this. 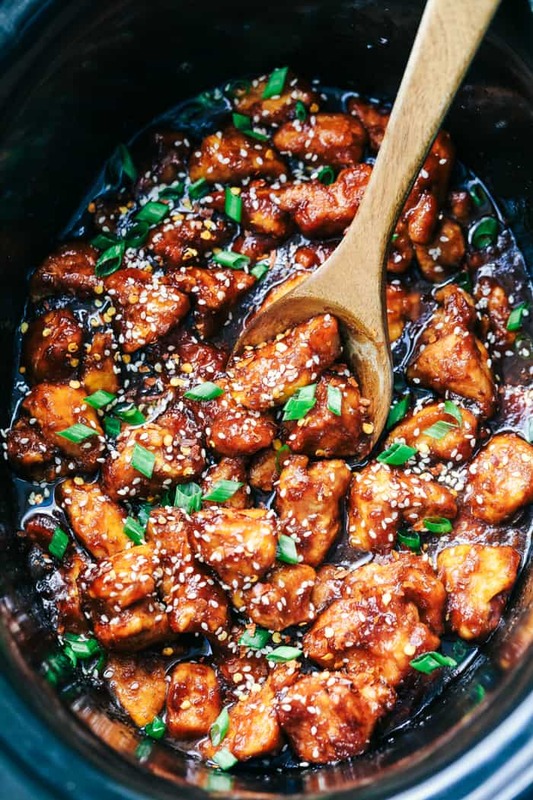 I love General Tsao’s chicken. I have convinced myself I will start using my slower cooker more, I will have to try to make this next time. I bet the chicken is chock full of flavor. 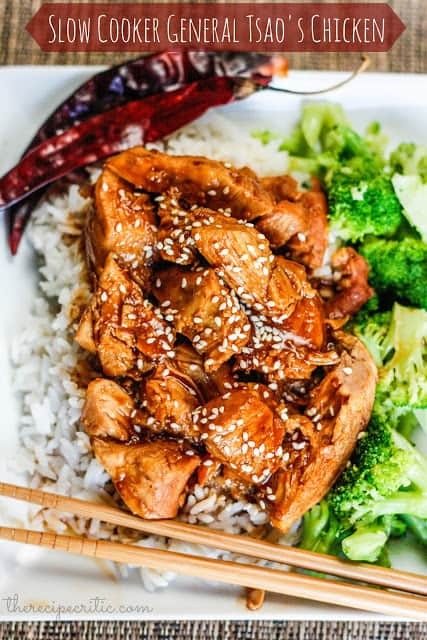 I love crock pot recipes, so perfect for dinner after a long day of work! Looks so yummy Alyssa! Can’t wait to try this one. Love that it is in the crockpot! Fantastic! I love slow cooker recipes! what if you don’t have hoisen sauce is there a substitute we can use instead? How close is this to InnovAsian’s gen tso’s? I’m curious as to how close this is to general tso’s CkN by innovAsian. That is the best I’ve tasted yet. blog platform are you using for this website? I’m getting fed up of WordPress because I’ve had issues with hackers and I’m looking at options for another platform. I would be fantastic if you could point me in the direction of a good platform. to find that you offer NO WAY to print it! What are we supposed to do?……look for a pencil and paper and copy it down?……….I don’t think so. 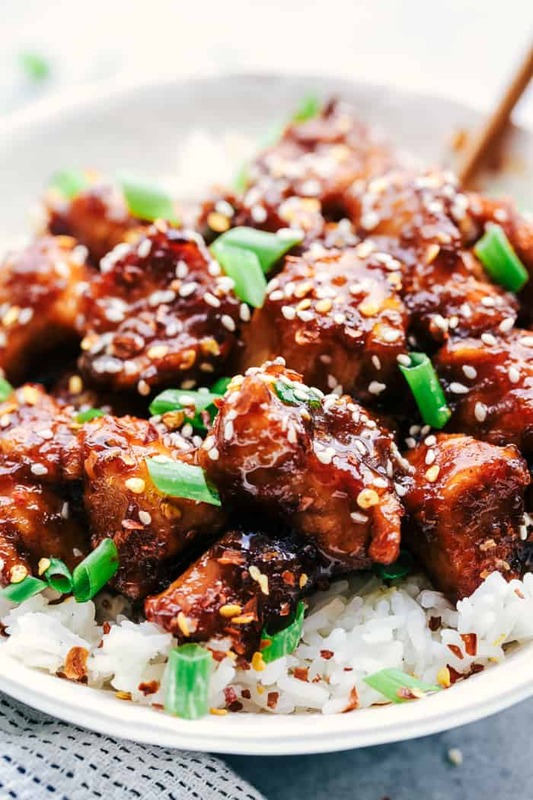 For instance: your recipe for Slow Cooker General Tsaos Chicken has no “print” box or any directions for printing…………GEEZ!!! !……and it happens sooooo often! I understand your frustration. I used to be on blogger which offers no way for us to offer the print version. Now that I am on wordpress all of my new recipes have the option it is just difficult to go back to all of my old recipes and add it. I never use the “print” options. I copy and paste all my recipes into Word files that are labeled by year and category. So easy to find later and print from that. I have years of recipes collected! Love my system. Be sure to add source! Be creative and enjoy Life. Highlight recipe text with left mouse button by clicking on the first letter of recipe and scrolling down to the end of text you wish to print. When Print tab opens it will show highlighted text to print. Click on Print (make sure printer is on first). Right click on mouse to Copy instead of Print. Right click on mouse with the cursor on the blank Word document. Click on Paste and there you have it. Don’t forget to Name it and Save it. People are SO lazy these days! Hello! I happened upon your website while on pinstrest (looking for a fried rice recipe). Well, long story short … I made your Generals slow cooker chicken last night. It was a HUGE hit with the family. Thanks for helping me dinner! I’m so excited about using more of your recipes. I would like to make this on stovetop _ what is the cooking time just to make the cause ? Hey! I’m fairly new at this cooking business, as I’ve recently moved into my own place, and I attempted to make this recipe. Now, my sauce just refused to thicken up. Any idea as to why this might be? I followed the instructions thoroughly. I had the same problem no matter how much I added it wouldn’t thicken much and I used so much corn starch I could taste it in the chicken :/ other than that it was so yummy! Do you add the cornstarch before you add the sauce to the crockpot? Stupid question because I just bought a crockpot yesterday and am excited to start using it: do I need to cook the chicken first, or do I put the raw chicken breast straight in there? You can just put the raw chicken in! That is the great thing about a slow cooker! Is there a printer-friendly option for this recipe??? I’m not seeing a print button for this recipe like the other ones… Help please? Regarding the lack of a Print button: doesn’t everybody know the shortcut to this? You turn your printer on, you push Ctrl button and at the same time P (for Print) on your keypad. Your computer will show the page or pages to print and you push Start Printing. Made this for dinner for my family and everyone loved it. Not the normal but the sauce was delicious. I matched it with fried rice, home made dumplings and steamed broccoli. My kids 7,7 and 10 raved about it including my husband! Chicken breasts I buy are quite large, can you approximate how many lbs. are in your recipe? Hello, I have a question. I’ve been following this recipe and I got as far as adding the cornstarch and mine never thickened up, and I added almost 3 tablespoons! What am I doing wrong? What can you substitute for the Hoisen Sauce? Thank you. When I see a recipe I like, I simply take a picture with my phone and it is easy to use in the kitchen. I have lots of recipes on my phone. Where is the amount of Ketchup listed that goes in? Is there any chance that you have the nutrition information on his recipe? Amazing! My picky kid and my picky husband ate it up!!! So easy. I followed the recipe exact but for some reasony color came out more brown then black? Do you know what I could been doing different? This recipe was fantastic! I only had to cook the chicken for 2 hours. And I skipped the cornstarch step only due to time. But it still came out great. 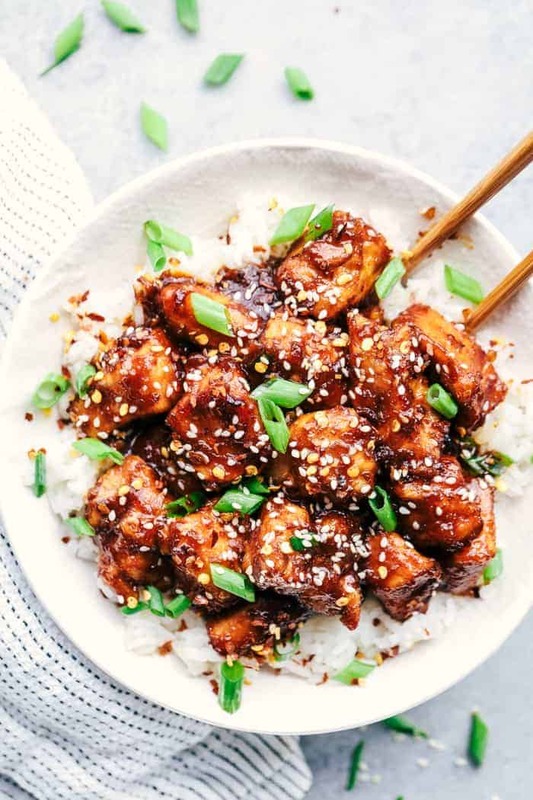 I’m making this tonight and I can say I am so excited! Everything smelled so good, and was like authentic Asian Cuisine. I paired mine with a vegetable fried rice, and oooh it was yummy! Hubby and 12 year old loved it! how many pounds, approximately, of chicken did you use? 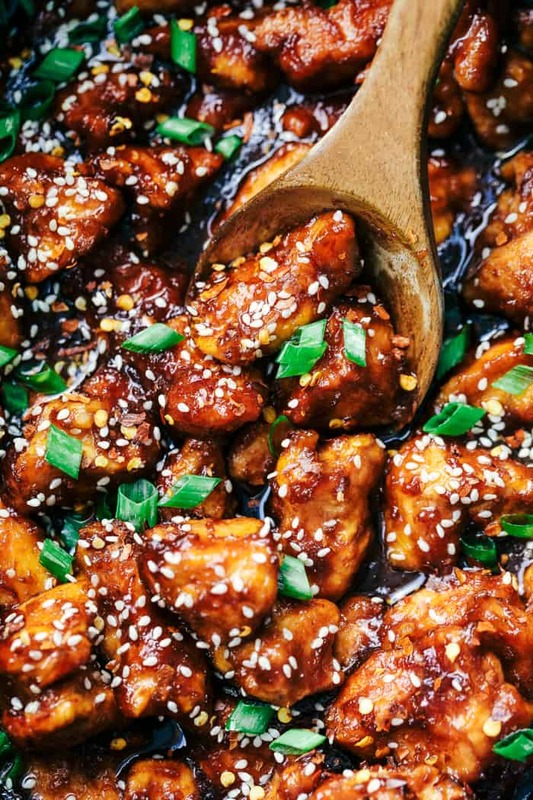 In your General Tso chicken, one of the ingredients is «: 2 T soy sauce..not sure what the measure means ? Ate we talking, cups, table spoons….I am confused ! A definite hit with my family !!!! Everyone was so impressed how flavourful this dish was. I was impressed how simple it was to make … thanks!!!! Made this with a few tweaks. Not enough time for crockpot so did on stove top. Sautéed the corn starched chicken in a combination of sesame oil and hot chili oil (we like spicy). Omitted the brown sugar since hoisin is sweet enough. Upped the rice vinegar by a few tablespoons. Used black sesame seeds since that was on hand. HUGE success! Tried this recipe last night, it’s absolutely delicious and will certainly be making it again. I forgot to add the crushed red pepper but it tasted really good without it, however the next time I do make it will try and remember to add the red pepper and just compare the flavours. The first time I made this, I halved the sugar and still found it too sweet. When I made it again, I omitted the sugar altogether and strongly preferred the result. Excellent dish, but cut the sugar. Absolutely delicious! Thanks so much for sharing this recipe. 2 T means two tablespoons. T does not stand for cup, people. 2 cups of soy sauce is about three days worth of sodium. Please be careful. I like to use myfitnesspal.com or skinnytaste.com for any nutritional information! Excellent, I deep fried the starched chicken cubes for 3 minutes at 375f good and crisp. 2.5 hrs at low slow cooker , as good as my favorite take out. I’ve made this dish several times – my husband keeps requesting it! Very easy. I sautee a green veggie and put this over cauliflower rice to make it a little lighter. I also have reduced the amount of brown sugar to 1/4 cup and it still turns out great.